ZGK045 - USA Standard Gear & Install Kit package for Reverse Rotation D60 & ’88 & down GM 14T, 5.38 thick. The Yukon Dura Grip provides aggressive yet smooth traction to give you the confidence & performance you need. Get longer life and better traction with the heavy duty Yukon Dura Grip Positraction. The Yukon-Trac Loc uses a nodular case, billet side hat, and forged internals for higher strength than stock Trac-Locs. The units use composite clutches for high performance and long life. All units are Rebuildable. Yukon offers a one year warranty against manufacturing defects. 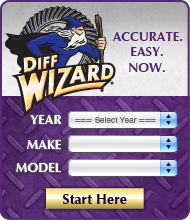 Click the button below to add the YDGF8-31-AG - Yukon Trac-Loc for Ford 8" wtih 31 spline axles. Aggressive Design to your wish list.